The excellent, finely ground and polished special glass is used as the basis for the new ND filter glasses. This guarantees the necessary optical quality, and also does not have any adverse effect on a correspondingly high-quality lens. In the thin-film technology that has been developed here, it is not just the pure ND filter effect that delivers results: a combination of coating optimizes the ND filter. In addition to the filter effect, the combination coating also prevents troublesome reflections by including a multilayer anti-reflection component with seven layers on each side of the filter. Finally, an outer layer with the usual dirt- and water-repellent properties is applied. With this feature, the filter not only has allround protection, but simple cleaning and care of the filter disk are also taken care of. The light attenuation itself is very uniform over the entire visible range and therefore produces optimal, colour-neutral images. By being able to use this coating technology at specified glass substrates, the process can also be applied in the B+W XS-Pro digital filter range. ND filters must not be used for direct visual solarobservation (risk of blinding). They let through UV- and IR-rays which harm the eyes. This B+W ND filter, which reduces the light by two f-stops, already shows a clear effect on your photographs such as requiring f/4 instead of f/8 for selective focus or 1/15 sec instead of 1/60 sec for a long exposure effect. The filter is color-neutral, and it should be part of any basic DSLR photography equipment kit. 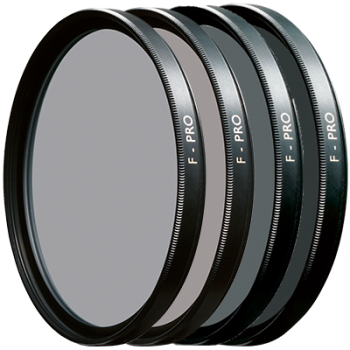 This B+W ND filter reduces the light by three f-stops and is particularly interesting for video when no suitable aperture can be selected in bright light or when a specific, small DOF is required. With this filter, distinct flow of water effect becomes apparent. 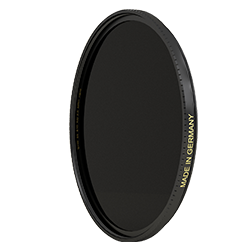 The B+W 103 ND filter 0.9 is also ideal for shooting photos with a wipe effect. This B+W ND filter, which reduces light entering the camera by six f-stops, already qualifies as an extreme filter. With this filter, and without changing the aperture (and DOF), an exposure time of 1/60 s becomes a full second. Running water is rendered hazy and soft. A tripod is necessary in any case. 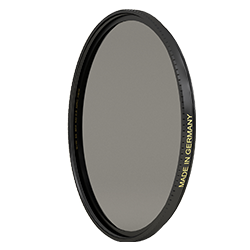 With a light reduction of ten f-stops, this ND filter delivers a further intensification compared with the B+W ND 106. Running water virtually transforms into mist. People walking on streets become blurred and indistinct or even invisible. In some cases this involves extremely long exposures of up to one minute. A stable tripod is essential. Time 1/500 1/125 1/60 1/8 2 sec. Time 1/250 1/60 1/30 1/4 4 sec. Time 1/125 1/30 1/15 0,5 sec. 8 sec. Time 1/60 1/15 1/8 1 sec. 15 sec. Time 1/30 1/8 1/4 2 sec. 30 sec.